The holidays are a joyous time, offering a chance to reconnect with friends and family. But they can also be stressful. 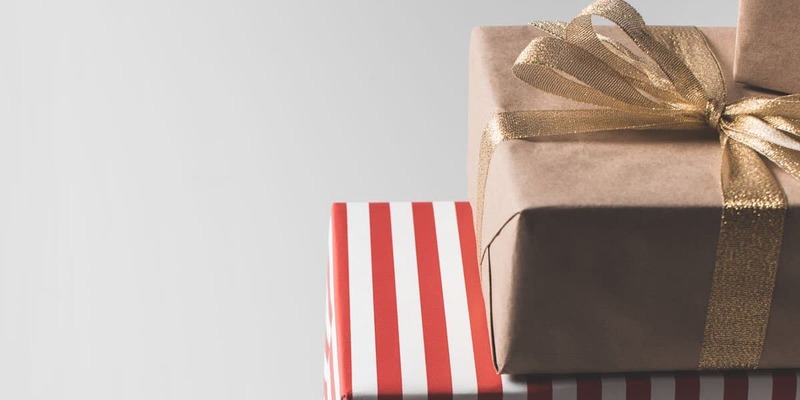 You may feel pressure to buy and give gifts you can’t afford. Maybe you feel like you just don’t have time to get things done. Think about the kinds of events that trigger stress for you during the holidays. We’ve got a list below of all the common holiday stressors and some easy tips for defusing the stress. Pick the section that speaks to your stress and focus on that. Or read the whole article! I’ve certainly had holidays where I was stressed about literally everything. But following the tips in this article has really helped me chill out and actually enjoy the holidays. 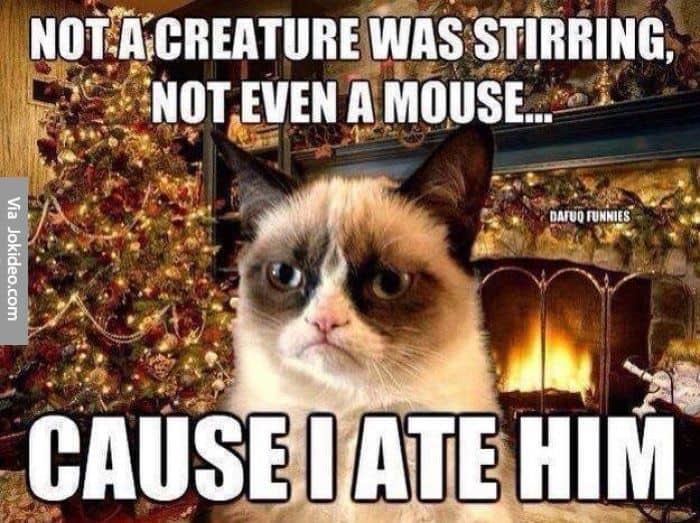 You can have an enjoyable holiday too, I promise. Ironically, understanding and accepting that this holiday – like all the other ones that have preceded it – will not be perfect frees you from trying to control everything and allows you to relax and enjoy things as they truly are. If your mom always makes passive-aggressive remarks about how clean your house is, your mom will make passive-aggressive remarks about how clean your house is during this holiday too. Knowing that nothing you can do to stop that gives you the freedom to clean your house up to your standards – and yours alone. Getting up at 4:00am to vacuum the house before everyone arrives won’t change a thing so you might as well sleep in and wake up refreshed and ready for your guests. I never took the time to make my bed in the morning until I met my husband, the neatest person I know. The first thing he did every day was make his bed and I saw for myself how doing that one thing set the tone for the entire day. A nicely made bed is a foundation of order on which you can build the rest of your day. I think this works because you’re setting the intention for the day: I will slow down and make sure things get done completely and well. When I let this habit go for a while, I always see the the rippling effects in the rest of the house: Christmas shopping left out, mail not put away, shoes all over the place. Try it and see if it doesn’t make your whole day a bit less stressful. So here’s a tip that’s worked for me. Start with the gratitude. “Oh, thanks for thinking of me!” Throw in the no. “But I can’t help you move this weekend.” End with resources (“You can hire movers cheaply on the corner for $10 an hour.) or moral support (“I’m sure you can handle the move all by yourself. I believe in you!) Putting your refusal in that manner takes the focus off of you and why you can’t help and puts the focus back on your requester and, hopefully, sends them on their way to hire movers or ask someone else. Christmas Eve is the crazy day for me. 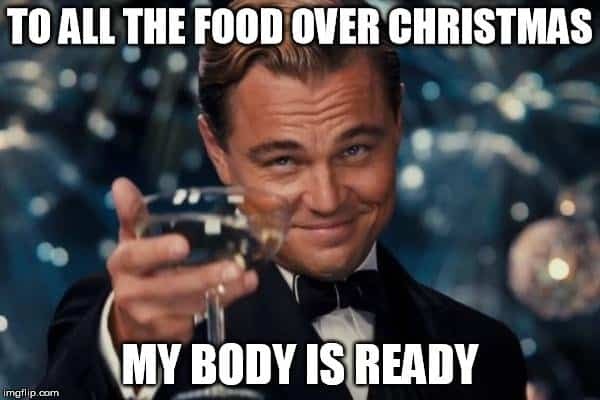 We have a large meal for the entire extended family and then my husband, kids and I stay up late opening gifts and hanging out so the kids can sleep in a bit before heading to their dads the next day to do it all again. I frequently have to get up at 6:00 a.m. on Christmas Eve so I can start cooking to be ready to sit down to dinner at 8:00 a.m. I actually love – truly love – the cooking, but I can still get a bit stressed if things aren’t going smoothly. I started taking a moment at the start of our Christmas Eve meal to stop, look around the table and notice that I’m surrounded by the people I love most in this world. I quietly say thanks and savor just how lucky I am that I get the gift of being with the people I love so much at Christmas. I have no idea, of course, what your day is going to be like, but I bet you’ll have a moment like that too. Maybe when your teenage daughter crawls into bed with you in the morning for a “let’s don’t speak of this again” cuddle session. Or when your son stands up at the end of a meal and picks up his plate and his grandmother’s plate and takes them to the sink. When that happens, don’t just notice it. Savor it. Carve it into your heart. Because it’s for those moments we work our asses off during the holidays. Singing gets oxygen in your body, exercises your heart and lungs, and produces endorphins that keep you calm and stress-free. It doesn’t matter whether you can carry a tune or whether people run out of the room when you sing, you’ll get the same benefits. We should all sing – a lot! I’ve made a YouTube playlist of my favorite holiday hits and I encourage you to sing along to all of them. To make things easier for the lyrically challenged such as myself, I tried to find videos that included lyrics. You can grab your family together and sing along or do it privately in the car which is where I do my absolute best singing if I say so myself. Here’s a great Youtube playlist of fun holiday songs to sing along with. Carve out time during the holidays to spend an evening together as a family watching a Holiday Movie. Most families have a favorite but you really can’t go wrong with Elf. Make some popcorn, settle in and enjoy some sweet and quiet laughter. If You’re About to JUST LOSE IT! This is a little controversial, but what would happen if you took a day off from everything you need to do? Would the world end if you bowed out for a day? Why not try taking one day during the holidays to destress and spend an unscheduled day doing anything that makes you happy. Drive to your city’s major shopping area and walk around looking at the holiday windows. Go ice skating and then end the day with hot chocolate and whipped cream. Spend the day at the movies. When the day is over, you’ll be refueled and energized and ready to pick up your responsibilities. You’ll be even more productive after your break. Stuck in the traffic jam from hell? Are you behind someone in line returning 30 sweaters and buying 20 more? (This is a true thing that happened to me a Uniqlo.) If you feel like you’re about to lose it, take a second and practice the absolute easiest yoga technique ever. It’s called Pranayama, or alternate nostril breathing, and it’s basically simply a way to slow down and pay attention to your breathing. No downward dog required and you’ll feel calmer and more centered after a minute or so. This article gives a great overview of how to perform Pranayma and some of its benefits. If you’re so crazed you can’t even take the time to relax for 10 minutes, you can still recharge on the go. If you can take the time to watch even one YouTube video that makes you smile or laugh, you can recharge in as little as 3 minutes! Laughter decreases your stress hormones and releases endorphins, your body’s natural feel-good chemicals. You don’t even need to search for the right video or playlist to cheer you up. I’ve got 5 great YouTube videos and playlists right here to make you smile in no time. Emerson – Mommy’s Nose is Scary! (Original). I’ve been laughing at this since 2011. You’re welcome. Very British Problems at Christmas. Ok, not a playlist. This is an episode of British TV show. I still think it will speak to you and make you laugh. Relationship counselors advise couples to schedule a regular date night in order to stay connected as a romantic couple. But the holidays are so busy that even a regular schedule can be set aside. And what’s worse, the season can so easily turn into a mass of obligations that you end up attending side-by-side, but not together: work parties, church services, family events. So take a list one night during the holidays to have a real date night. Dress up and wear your date-night underwear. See a movie or play and talk about it afterward over dessert and coffee. Take some time to reconnect with your partner. You love your uncle but after his third glass of eggnog, he loves to start sharing his dicey political views – and he’s spoiling for a fight. 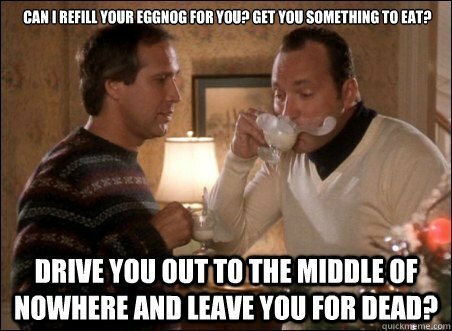 If the get together isn’t at your place, you can announce when you arrive that unfortunately you have another engagement that you absolutely must attend and you’re so very sorry but you can only stay for an hour and a half (or approximately long enough for Drunk Uncle to get half-way through his second eggnog). When the “In my day”s, start flowing, grab your coats and head out to a holiday movie. You can’t leave a party you’re hosting of course so you’ll need to get creative if someone’s behavior is truly a problem. Maybe you can redefine the event and have everyone stop by for a couple of hours for coffee and dessert instead of hosting a full dinner. Or maybe tell certain folks that you’d love to get together after the holidays because this year is just too crazy. The main thing is to anticipate any issues and make a plan for minimizing them. Let’s say your drunk uncle is actually your father-in-law and your husband will be absolutely devastated if your family doesn’t attend the entire annual Christmas Eve formal dinner. Instead of letting your father-in-law push your buttons (like he does EVERY SINGLE TIME! ), practice the fine art of observing the situation as a disinterested participant. Instead of seething with anger when he shares his views, try simply observing the situation. Why does he believe the things he does? What happened in his life to bring him to this point? Becoming a disinterested participant can help you look on a person who pushes your buttons as an actual human being, rather than the ogre you built them into inside your mind and help you keep your cool in a situation where might otherwise end up losing control. Martha Beck recommends playing Dysfunctional Family Bingo during truly stressful holiday events and even provides a handy card. Create a bingo card full of all the uncomfortable moments you just know are coming and cross them off your secret list whenever you get a chance. If you’re at all competitive like me, this will turn your reaction to your mom’s annual comment about your weight from seething anger to gleeful victory. (“Yes! I can check that off the list.”) This game could turn your dreaded event into one of the most times you’ve ever had if you play with a like-minded family member at the same event. If you’re like me, you’ve been waiting for months to be reunited with your kids. And if your kids are like mine, the first things they’ll do after that welcome home hug is to ask for the car keys. If you expect this behavior from your kids, then you won’t be stressed and disappointed when it happens. It’s completely fair, though, to, pick a time and let them know that they’ll be expected to be home then for a family activity. If you respect their desires, they should respect yours as well. I think my kids would have had cereal for dinner every night if I hadn’t had a slow cooker growing up. If you pick the right recipe, you can take 10 minutes in the morning to throw some ingredients in and come home that night to a cozy house filled with appetizing aromas. This Low Carb Lasagna replaces the noodles with eggplants, requires barely any prep time and cooks up to a filling and healthy easy dinner. Walking is a great stress reliever any time of the year and getting outside during the holidays is a wonderful way to get the blood pumping. Get out there even if it’s a little too chilly for your taste. You’ll warm up once you get going and did you know that shivering because of the cold can help you lose weight? You can burn off that extra glass of eggnog! I plan for the holidays every year by determining how much I can afford to spend that year. Then I list everyone to whom I’d like to give a gift and assign a dollar amount. This helps me stay within budget by prioritizing my spending: if I decide I want to spend $1000 total, I can determine how much I want to spend on my kids and other family members and then decide how much of the remainder I’ve got for gifts for everyone else. If I want to spend $300 for each kid and my total budget is $1000, for example, then I’m going to figure out how to split $100 between everybody else. That can be tough, but much less stressful than realizing midway through December that I don’t have enough money to get the presents my kids are really hoping for. Stay Out of the Mall. It’s so much easier to stick to your list – and your budget – when you’re not being bombarded with tables full of “gotta have it” bargains. The next thing you know, you’ve returned home with Christmas gifts for every teacher your child has ever had ever and a cashmere sweater for yourself that was such a steal that the crime would be not to buy it! These days, there’s almost nothing you can’t order online and if you sign up for eBates (and you really should), you’ll get cash back automatically on purchases you’d make anyway. It might feel like you’re the only person worried about money during the holidays but I can assure you that’s not true. 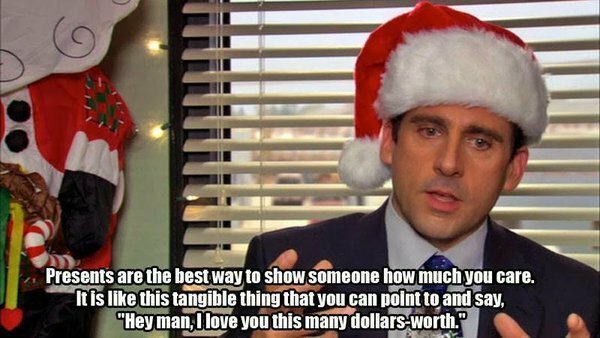 If your gift budget is getting out of hand, have a talk with some of the people on your gift list. They might be thrilled to agree to skip gifts altogether or to participate in a cookie exchange. Have a conversation with your family as well to find out what’s really important for them this holiday. You might want to forgo gifts this year in favor of one big family experience like a play. Or you could turn the whole thing into a game to see who can give the best gifts on a $10 budget. Having an honest conversation is the start of more reasonable expectations about gifts. Make a checklist of everything you need to do and when you need to do it. It will help keep you on track and it’s so satisfying to cross things off. Martha Stewart has a nice one for Thanksgiving but you’ll probably want to modify it for your own needs. Here’s a tip I use for my checklist: include what serving pieces you’ll use for each item on the menu. Nobody wants to be frantically hunting through their cabinets right before the meal. A big holiday meal isn’t the time to try to make authentic Yorkshire puddings for the first time. The very specific example springs to my mind because I once tried to make authentic Yorkshire puddings on Christmas Eve. It was, um, not a success. Your guests will feel uncomfortable if you’re crying in the kitchen before the meal. Ask your sister bring her signature Christmas cake (again, not a theoretical, my sister’s Christmas cake is the highlight of my holiday.) Get your nephew serving drinks. If everyone is helping, the party flows better and you might actually be able to socialize with your guests. Nobody’s going to judge and, in fact, nobody needs to know, if the pumpkin pie came from your local bakery. “Outsource” a few dishes so you can focus on the food you know best. Oh, sweetie, I feel your pain. For years as a single mom, the holidays went something like this for me: frantic work, frantic work, frantic work, frantic meal preparation, celebration, present opening, sitting peacefully for five minutes, and then the kids leave for their dads while I sit on the floor of the living room surrounded by discarded wrapping paper. There were some teary moments. Things improved when I started anticipating and planning for these moments. I started asking the kids to help clean up so I didn’t have to sit in their mess once they left. I reached out to my meetup groups to see if anyone else was free. (Are MeetUp Groups still a thing? They absolutely should be. Because of Meetup I once spent Thanksgiving Night at a comedy show laughing about turkey instead of sitting at home crying into leftover champagne while I watched choirs sing uplifting music. If you can find an activity you’d like to jump on, then plan what your perfect day alone at home would look like and celebrate the holiday with your perfect day. If you want to stay in all day and play games, well, you’re entertaining yourself! Make sure you’ve got the most comfortable set up and all the snacks and drinks you need. My perfect alone day would involve lots of books and movies gathered for the occasion. The outfit of the day would be soft cotton PJs and all meals would consist of Prosecco and Grilled Cheese Sandwiches. I’d read all the newspapers, watch all the dog shows, and fall asleep on my soft during a Harry Potter movie. The point here is this one: If you’re alone on the holiday with no real prospects then turn it into the day or your dreams. Celebrate by yourself! It’s a cliche but it really does help take your mind off your own loneliness when you reach out to others. And it’s so empowering to be working with 100s or even 1000s of other people to bring something good into the world. Atlanta has a few great volunteer opportunities over the holidays and I’m sure your town does as well. Check out the local free weekly paper and see if you can’t find something there. 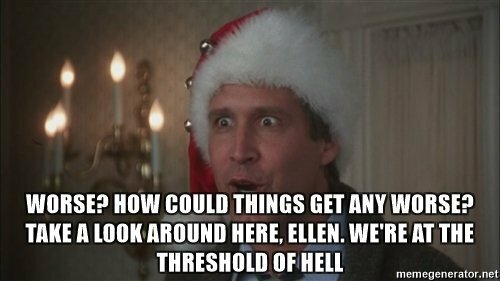 What holiday stress do you encounter every year? What do you do to manage it? Let me know if the comments!